Searching for the Best Greater Boston Wedding Facility in 2019? While today’s brides have a lot more flexibility in wedding reception planning, there is one major thing that cannot be overlooked: finding the best MA wedding and banquet facility. You need a place that has room for you and all of your guests, but you also want to work with a Greater Boston wedding facility that is well-designed, well-staffed, has a solid reputation, and offers all of the catering and amenity options that you desire. This is your wedding day for crying out loud – make sure that you go the extra mile to find the best place to host the “after party” on the biggest day of your life. The first step is to reach out to the social event coordinators at the venue in question and schedule a tour of the facility. If they will not take the time to take you on a tour or if they are consistently unavailable, that will set the tone for the rest of your experience. Find a venue that is friendly, experienced, professional, and will take time to work with you and help you with wedding reception planning to create the celebration of your dreams. Venus de Milo has over five decades of experience, and we are proud to have earned a solid reputation within the Southeastern Massachusetts and Rhode Island region for putting on some of the most memorable weddings in the area. 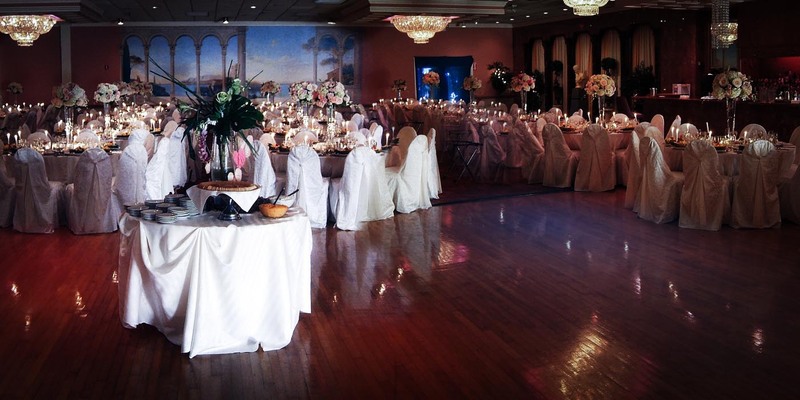 All you need to do is contact our team to take a tour of our beautiful MA wedding and banquet facility. We can help you choose a date that is right for you, select the best ballroom space to accommodate your guests, and pick a menu from our wide range of options that will reflect the theme and tone of your wedding celebration. We have provided space for small, intimate weddings and large-scale events with thousands of guests. Whatever your needs, Venus de Milo can help you to achieve your goals with the support and guidance of our on-site social event coordinators and well-trained staff. Make sure to tour our Greater Boston wedding facility before you make a decision about where to host your reception in 2019. One of the reasons why couples choose to work with a wedding planner is to take advantage of the professional connections with vendors and wedding suppliers. When you work with Venus de Milo, we provide you with a list of pre-vetted local vendors who are proven, reputable, and worked with us already in the past. Choose from a selection of DJs, bands, emcees, photographers, and other essential vendors to reduce the time and energy spent on interviewing and choosing a professional to assist with your wedding services. We can even hook you up with limousine transportation, licensed and insured bakers, and florists. However, another advantage of working with Venus de Milo is that we offer a lot of these services in-house. Speak with our social event coordinators about wedding reception planning, and you will find that we have extensive menu options, including seasonal, local, and ethnic cuisine. We also offer elegant special effects, including uplighting, waterfall backdrops, room decorations, chivari chairs, white wedding arches, indoor and outdoor ceremony options, white glove service, and special linen napkins. Whatever you want for your dream reception at our MA wedding and banquet facility, we can get it for you. If you have never planned a wedding reception before it is crucial that you understand the need to secure a venue as quickly as possible. While the standard planning time for a mid-size to a large-scale wedding is one-year minimum, there are often brides who start planning 18 months to two years in advance. 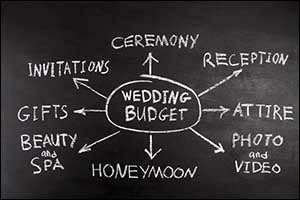 If you want to have a spring wedding, you will need to get going as quickly as possible. While many Greater Boston wedding facility locations are the busiest during this season, the best venues are often in high demand throughout the year. As soon as you know the date range that you want for your special day, contact our social event coordinators to begin discussing ideas for wedding reception planning so you can put a deposit down and secure the venue right away. If you are planning on short notice, be prepared to be flexible for the time, date, and day of the week for your event at our MA wedding and banquet facility. However, it is always a good idea to create a list of the dates that you want most to see if we can accommodate. A last-minute cancellation or opening could come up, and you wouldn’t want to miss it. Ready to take a tour of Venus de Milo? Give us a call at 508-678-3901 and speak with one of our team members to schedule a tour of our Greater Boston wedding facility. Located in Swansea, MA on Route 6, our facility is perfectly designed for a beautiful wedding, reception, engagement party, or any other event that you want to host to celebrate your special day.